One word…WOW! 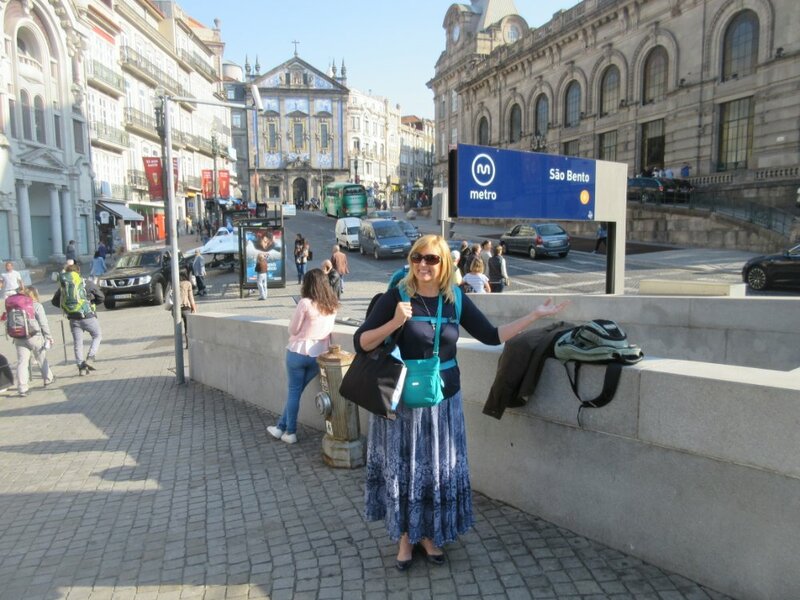 We landed, got on the metro from the airport to the Sao Bento station and came up to view a mix of historical buildings and cobblestone streets along with a hubbub of activity. We still had a walk to get to our AirBnB, but we had a couple of hours to kill before meeting Jorge (our host) and check in. 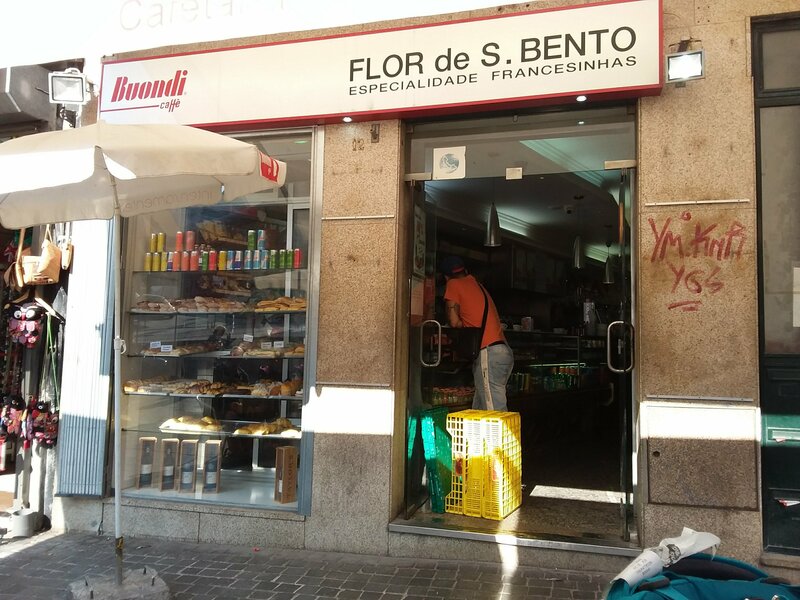 It was breakfast time and we just happened to be standing in front of a cute little cafe’ (Flor de S Bento) where we tried a traditional Portuguese egg tart pastry called pastel de nata, along with coffee and something like an eclaire. Yum! After breakfast, we walked to our apartment past art museums and beautiful buildings and cafes. We only waited a few minutes when Jorge greeted us at our apartment and showed us around. He gave us a few tips and pointers and a set of keys and then he was off. The view overlooking the Douro River is breathtaking! The apartment is perfect. We are looking forward to being here for a week. Plans today are to lay low, find a grocery store, and discuss a game plan for Porto and vicinity. Amazing first glimps of Porto! What a view from our terrace! What a beautiful start to our adventure! So excited to see you guys! Kirk, doesn’t look like the food was better than the A Street cafe. We missed you today. I was going to buy your breakfast. mmmm I love Portuguese egg tarts!! They have them in Macau also so keep an eye out when you get to Hong Kong/Macau later in your trip! We just landed to Porto yesterday and love it. Glad I read your blog as made me look forward and so far been awesome. Any restaurant recommendations are welcome! We have getting intentionally lost to find local places. In other words, we have avoided the tourist areas and going to where locals are. However, for the best Pastel de nata (egg tarts) there is a bakery right by the Clergy Tower. I’m sorry I dont have the name. Make sure to make reservations for the tour(s) as they are given in one language at a time. I recommend touring one and just tasting at any others you may want to see. You can make reservations on line. The taste is included in the tour at Graham’s. Good to know. We are thinking on renting a car and driving over. I’ll check out the Graham’s tour. Oh I was talking about driving to the Douro valley. Is that what you are referring too? I didnt know you can take a water taxi there. Did you go to Douro Valley? No, we did not go to Douro Valley. But I know you can take the boats and trains. We just went across the river where they have all the production end of things. That is also the oldest section of Porto. We will walk over or take the water taxi. We are staying pretty close to the reviera so walk shouldn’t be bad. Have you done river cruise of 6 Bridges? We chose not to because we had seen all of the bridges from different perspectives and we had taken a canal cruise in Aviero. If you have time, take the train to Aviero for the day. It was just under 15 euros for two round trip tickets from Sao Bento to Aviero. I hope to post those pics today. Is aviero like little Venice? Yes, we are planing on driving to aviero. We were going to take train but seems more efficient and easier to drive with luggage. We are just enjoying Porto wine and washing a fire guy by the river. What is the Graham website? Have fun! We leave tomorrow evening for the Azores.